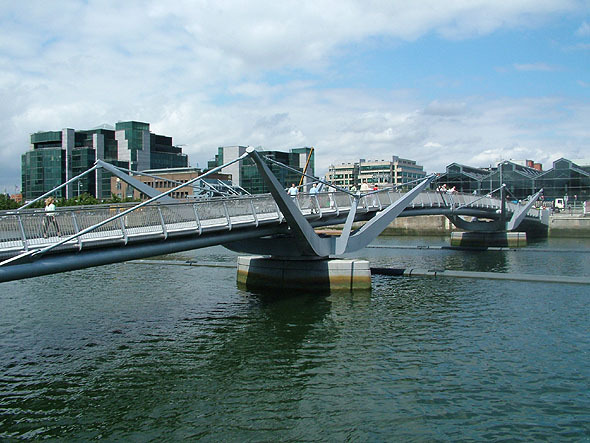 This pedestrian bridge, which links Custom House Quay with City Quay, is named after the Dublin writer Sean O’Casey. 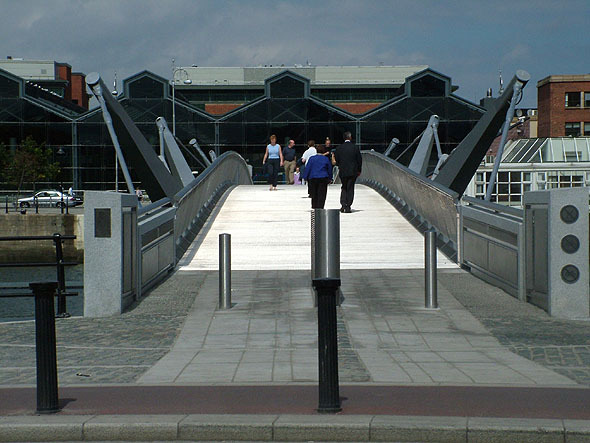 The bridge is directly opposite Stack A, the 19th century warehouse in the Custom House docks. 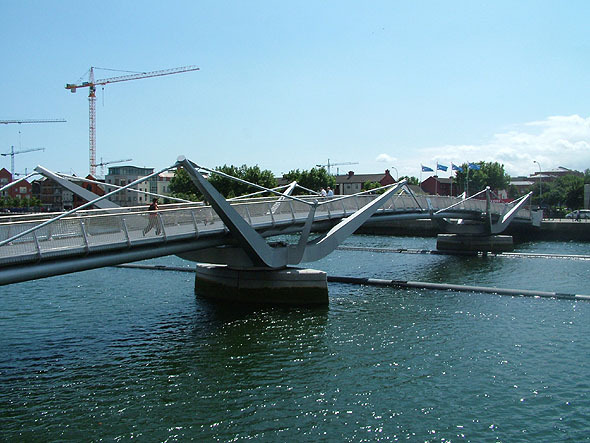 This was the third new bridge over the Liffey in five years, following the opening of the Millennium Bridge, near the Ha’penny Bridge, and the James Joyce Bridge at Blackhall Place in 2003. 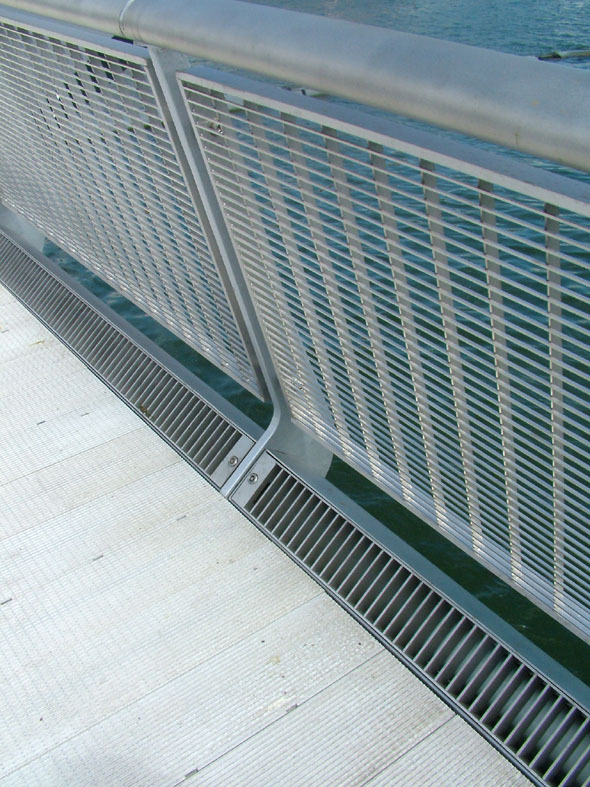 The bridge is in two sections which swing through 90 degrees to allow boats to pass through. 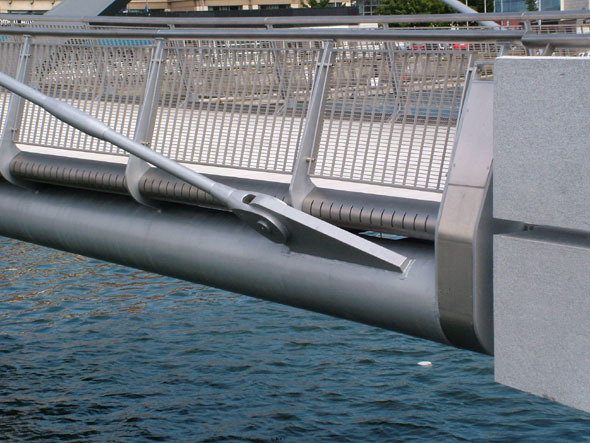 It spans almost 100m, weighs over 320 tonnes and sits on two Chinese granite piers. 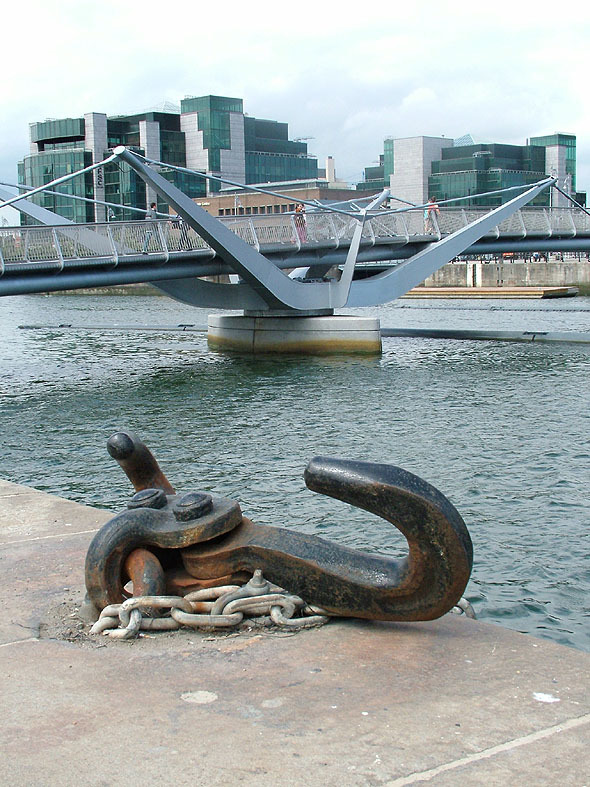 The design was selected from more than 80 entries in an international competition organised by the Dublin Docklands Development Authority (DDDA) in 2002. The winning design came from Cyril O’Neill of Brian O’Halloran and Associates. He left the firm to join HKR in early 2005.